Express Oven Cleaning understand that cleaning your oven is one of the most dreaded chores that people hate. Nigel and David are here to help with a dedicated service that will take the hassle out of oven cleaning with a caustic free system using heated dip-tanks to help leave your oven sparkling. There are no hazardous fumes and your oven will be ready to use immediately thanks to our 100% eco-friendly method. 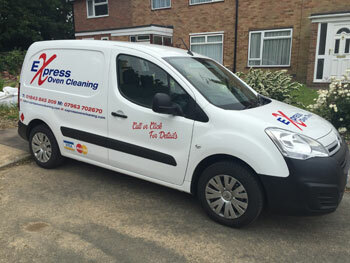 We offer a professional service with excellent value for money and are fully insured for total peace of mind. As well as the standard cleaning services we provide, we also specialise in end of tenancy cleans for landlords. If you're a landlord looking for this service, please get in touch and we will be happy to assist. Please contact us for a booking and we will gladly answer any questions you may have.